Linking yesterday’s amazing story with Dr. Sheldrake’s work. Many of you will have read the account published yesterday about little Mason, the pet dog that was picked up by the recent tornado in North Smithfield, Alabama. Here’s a recap of what happened. Mason, a terrier mix, now rests inside the Vulcan Park Animal Care Clinic where he’s waiting to find out what kind of surgery he will need to repair 2 badly broken legs. This is only the 2nd night he’s spent under any kind of roof in the last 2 weeks and the story of how he got there is almost too amazing to believe. 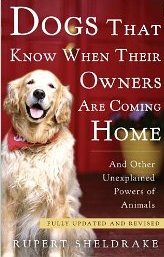 I have also previously written about Dr. Sheldrake, my most recent item was when I highlighted his book, Dogs That Know When Their Owners Are Coming Home. 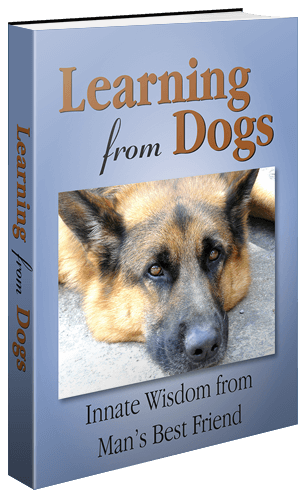 In that book, there are several references to both incredible journeys undertaken by pet dogs and the science believed to be involved. The book is much recommended. In 1582, Leonhard Zollikofer left his native St. Gall, Switzerland, to go to Paris as ambassador to the court of the French King Henri III. He left behind his faithful dog, aptly named Fidelis. Two weeks later the dog disappeared from St. Gall. Three weeks after that he rejoined his master at the court in Paris, exactly at the time when the Swiss ambassadors were being led in to an audience with the king. The dog had never been to Paris before. How did he find his master so far away from home? There are other ‘mind-blowing’ examples in the book. In Chapter 10, Incredible Journeys, Dr. Sheldrake explores many aspects of this wondrous ability of many animals. Animals bond not only to members of their social group but also to particular places. Many kinds of animals, both wild and domesticated, can find their way home from unfamiliar locations. This attachment to places depends on morphic fields, which underlie the sense of direction that enables animals to find their way home over unfamiliar terrain. The sense of direction also plays a vital role in migration. Some species, like swallows, salmon, and sea turtles, migrate from breeding grounds to feeding grounds and back again over thousands of miles. Their ability to navigate is one of the great unsolved mysteries of biology, as I discuss in the next chapter. Here too I think that morphic fields, and the ancestral memory inherent in them, could provide an explanation. If you have read this and are curious, then these videos will give you a little more to mull over. The first is a little ‘alternate’.